Huron Behavioral Health is not affiliated with any of the following agencies, and makes no recommendations or endorsements. Each person is encouraged to individually choose where he or she would like to seek services, according to their needs. Michigan Protection & Advocacy Services, Inc.
Click on the image above or the link below to visit the COA website. 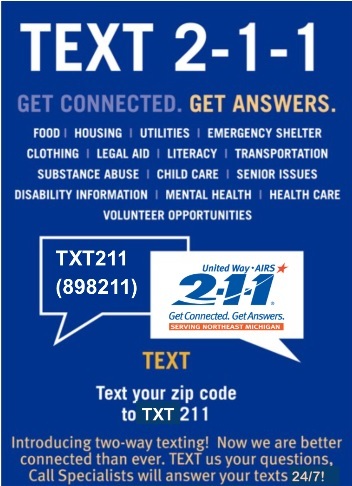 Click on the image above to visit the 2-1-1 website. Click on the image above or the link below to visit the National Suicide Prevention Lifeline website.